In most countries, more considerable attention are being paid towards the importance of competition. Competition plays an key role in developing the business environment of any country, which is mainly based on the creation and ensurance of market freedom. Competition Law, thus, is also of prime importance. It regulates competition practices in the economy so that businesses become more efficient and innovative and ultimately consumer welfare can be achieved. Anti-competitive and unfair market practices, mergers and acquisitions, product liability, natural monopoly regulation and third-party access to facilities of national significance are some areas of its governance. 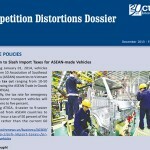 Besides, in certain markets such as telecoms, gas and electricity, air transport and rail where competition is developing there are additional regulatory obligations. Today, there are convergences and divergences of Competition Law and Regulation in which the latter is undoubtedly a fundamental instrument to introduce competition in these markets. 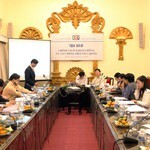 The Project has been implemented with the support of State Secretariat for Economic Affairs, Switzerland (SECO) and the Swiss Competition Commission (COMCO).The Project would contribute to the establishment of a business environment that is conducive to the development of the private sector; and would deepen the application and the implementation of Vietnamese competition policies. The duration of the Project is three years. 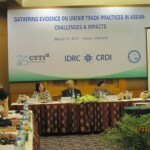 CUTS Hanoi Resource Centre, with the support of the International Development Research Centre (IDRC – Canada), is implementing a two-year project entitled “Study on Unfair Trade Practices in select ASEAN countries”, in cooperation with research partners in Indonesia, Malaysia, the Philippines, Thailand and Vietnam.The overall objective of this proposed project is to generate and promote substantive discussions/dialogues in the Association of Southeast Asian Nations (ASEAN) on issues related to unfair trade practices (UTPs). This is expected to lead and contribute to the improvement of the relevant legal and institutional frameworks in ASEAN countries that seek to sustain a fair business environment therein and ensure equitable market outcomes in the long run. The project is supported by Friedrich Naumann Foundation for Freedom (FNF), which aims at fostering a healthier economic environment through increased knowledge of competition distortions and more active participation of relevant stakeholders in reducing these practices on the market. This is a 3-year regional project (2012-2015) undertaken by The German Agency for International Cooperation (GIZ). Under the framework of this project, together with GIZ and Lao partners, CUTS HRC has undertaken a Competition Assessment in Lao PDR, which aims to provide an overview of the existing institutional and legal framework, as well as the knowledge of how key markets or industries are structured which can help substantiate efforts to discuss the necessity of a competition law in Lao PDR.